Ski Holidays to Soldeu in Andorra 2017 & 2018. Soldeu is a small yet lively village set in the stunning Pyrenees Mountain Range. It is a stunning village which attracts many tourists each year eager to experience its picturesque surroundings, take part in mountain biking, hiking, white water rafting and more. However, above all else, Soldeu is a popular ski resort. Soldeu offers fantastic snowboarding and skiing opportunities as a result of its good snow conditions and big slopes. The locals are friendly and warm and amenities are plentiful, making Soldeu a popular ski destination for couples and families. 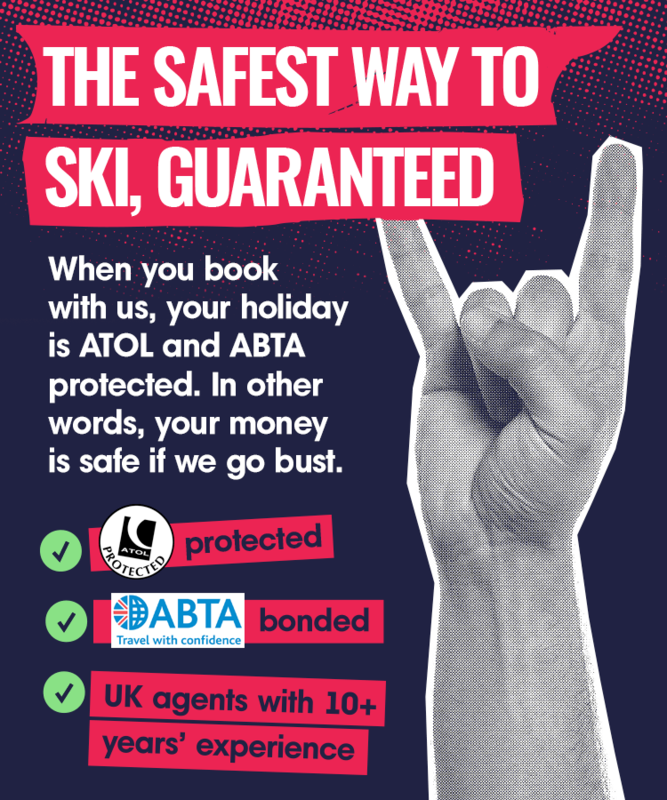 Prices are also cheap, so guests get a good value ski holiday. The slopes in Soldeu are arguably the best in the region. They are wide, high and suitable for different ability levels. The snow at the resort is reliable and there is plentiful artificial snow in place in the unlikely event of it being necessary. The resort is excellent for beginners. You can find plenty of gentle wide slopes for beginners to build up their confidence on. There is now a new beginner area and a beginner playground that has recently been updated. Importantly, the local ski school has a fantastic reputation, being one of the highest rated in the world. The instructors are highly trained, friendly and have excellent standards of English. Although many beginners take lessons; intermediate and advanced skiers would also benefit from the ski schools expert tuition. The school has over 200 instructors who are able to teach to a very advanced level. For children, there is a kindergarten suitable for 1-3′s and a children’s ski school for 6 year olds and over. Although Soldeu is an excellent option for beginners, it also offers plenty for intermediates and expert skiers. One of the highlights for advanced level skiers is the FIS slope ‘Avert’. This is a run that has been used in the past by the very best skiers in Europe. It is extremely challenging and will test even the most competent skier. There are also over 20 black runs and freestyle parks for thrill seekers. Snowboarders can find an excellent fun park as well as some half pipes. There are many other activities to take part in if you want a break from your skis. Other top activities around Soldeu include snowmobiling, ice driving and sleighing. These activities allow you to a well earned rest from skiing whilst still taking advantage of the excellent snow in Soldeu. The region is well known for its spas and wellness centre and Soldeu is no exception. The resort contains a superb Sport Wellness Spa that will soothe your tired muscles. It is well worth taking a visit to Caldea, known as the ‘Thermal Leisure Centre’. Inside lies Turkish baths, jacuzzis, saunas and even thermal water lagoons. For those who want to go shopping, you can visit some local shops in the village or take a day trip to the capital, Andorra la Vella. This is close by and can easily be reached by both car and bus. There are a wide selection of good restaurants in Soldeu. These range from traditional establishments to modern international themed restaurants. Most restaurants in Soldeu are traditional and serve local delicacies. The popular Borda del Rector restaurant has live music throughout the evening and an open fire. Soldeu has a range of cafes available for those wanting a quick bite as well as some fast food take-away outlets. Apres-ski, Soldeu comes alive. There are a number of bars and a few nightclubs that are extremely popular with tourists and locals alike. One of the most popular is ‘Fat Albert’s’ bar and club. This has a great atmosphere with regular live music and showings of ski classes from that morning, videoed and shown on a big screen. Other top clubs include the ‘Pussycat’, this is a lively nightclub that is very popular with skiers. Those who want a low key evening can visit some of the quieter bars in the village, or try out the many hotel bars with family entertainment. There are a number of airports near to Soldeu including Perpignan, Toulouse, Girona and Barcelona. Although these airports are of a similar distance to the resort, Toulouse has the best connections to Soldeu. The transfer time from Toulouse to the resort is around three hours. You can find inexpensive transfers to take you directly to your hotel door or you can fly to Toulouse from a number of airports in the UK – including Gatwick, Bristol, Birmingham and Manchester. Soldeu is a very popular resort due to its ability to cater for all levels of skiers. We have awarded Soldeu 4 stars for both beginners and intermediates. The resort is not ideal for experts, yet still has enough to keep them busy. For this reason we have awarded the resort 2 stars for this category. There are also excellent opportunities for snowboarders, earning the resort 4 stars out of 5.